Taxi $5usd from the airport to Hotel Simon Bolivar: This hotel is located blocks from the Walled City. (see below) It was $95usd a night for two with a full breakfast included. It is in a good location. Across from a shopping center and just blocks from the Walled City and Getsamani. Clean room, nice staff, small but it has a rooftop pool for a dip in the heat of the day. Free wifi and safety deposit box. 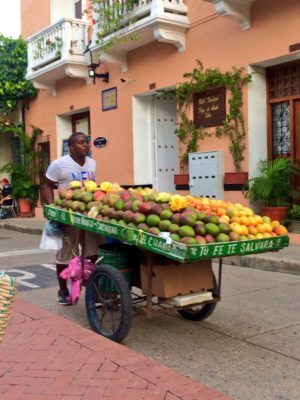 While walking the narrow and at times dark alleys of Cartagena back to our hotel from the very lively and interesting Getsamani I thought of a Friend’s Facebook post and smiled. The post warned me of the dangers that await a tourist in Colombia. My thoughts, unaltered by the one cocktail I had at dinner, drifted to that post because I felt so free and safe. Never once did footsteps from behind or silhouettes from ahead cause me worry. To get to Getsamani from the hotel: you take a right upon exiting and a left down the 1st alley next turn right at the end it will drop you in one of the city’s many plazas. This plaza is quaint but popular and surrounded by restaurants like Demente, which has a great atmosphere but bland margarita pizza. Down the street is Cafe Havana a big tourist spot. There’s a cover charge to get in but it includes a mojito or rum drink. Band is great. 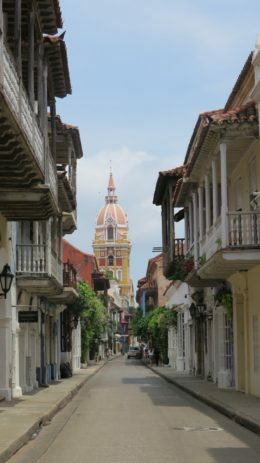 Walled City or Old Town: The main reason to visit Cartagena. It is beautiful with the narrow alleyways and the colonial architecture. Inside the walls you will find churches, museums, monasteries, parks, restaurants, plazas and shops. Bocagrande I read an article that encouraged tourists visiting Cartagena should get out of the walled city area and visit this modern part of town. We heeded the articles advice and wondered what was so special. This strip of beachfront condos, casinos and shops is often compared to Miami and I have no idea why. My trip was not enhanced by checking out this part of town. There’s a beach but it should not be what entices you to visit Cartagena. If you are a shopper this part of town is for you. Misc: Which I did none of so I don’t have any personal opinions but there are tours of Rosario Islands and El Totumo Volcano. 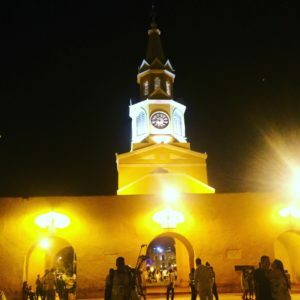 Colombia’s wonderful coral island is family friendly. You can walk along the beachfront shops without the hawkers invading your space. 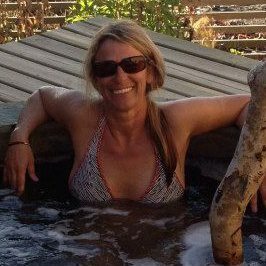 You will find friendly people who offer great service in the hotel and restaurants. The only bad experience we had was with an overpriced taxi driver but that unfortunately was no surprise. Thankfully there’s mopeds and souped-up golf carts to rent for a trip around the island. The island is small enough to drive around in about an hour but big enough to get lost. It is 10.04 mi². In San Andres Colombia you don’t need a boat to drop you at a dive or snorkel destination. Along the road there’s walkways built for easy access to the coral coast. 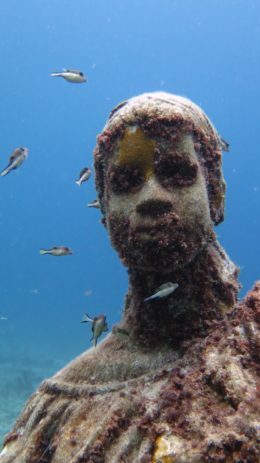 There’s not an abundance of fish but down under you’ll find colorful reefs, sunken ships & statutes. Flight to San Andres: Inexpensive we paid $100usd round trip. Bags were an additional ($20usd) Tourist card 115,000 ($40usd) per person. Hotel Casa Blanca It is in an excellent location in the north end where most of the hotels are located. Staff is fabulous and you are just steps away from the beautiful blue sea. They have a pool and provide beach towels (bonus). Walking distance to many restaurants and shops. It was very comfortable and classy. The included breakfast is top notch. It is expensive but worth the $190usd for double occupancy. La Regatta Restaurant. A funky restaurant next to the port where there is something unique to look at, no matter where your eyes land. Tree chimes are created out of recycled bottles. In spite of the kitschy décor the servers and the table settings make one feel as if they are fine dining. Fish and lobster are on the menu prices average about 42,000cop (15 usd) The ceviche was amazing. Trattoria Gormet is a block off the beach. Here you will find delicious homemade Italian pasta. The average price for a meal was 35000cop ($12 usd) Warning the portions were huge. Gourmet Shop is close to the port. It’s the perfect place for a wonderful salad, bread and cheese platters. They also have seafood, meats and sandwiches on the menu. Rosa Del Mar Mexican place in front of the beach. It was ok. Don’t remember prices. Be a Beach Bum: There are several beaches on the island and the nicer ones you can rent chair and an umbrella. 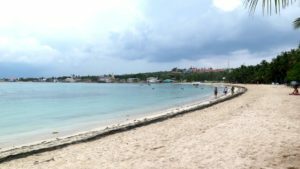 There’s Rocky, Cocoplum Cay and Rocoso Beach. Snorkel or dive. We used Caribe Dive. It was 180,000cop (62usd) with gear and 2 tanks. It is a family run business. Maria, the daughter, is a sweetheart and speaks English. As noted above around the island, especially the west side, you will find places to jump into the clear and warm water for a snorkel. From the road just look for the dock or walkway that leads right to the sea. 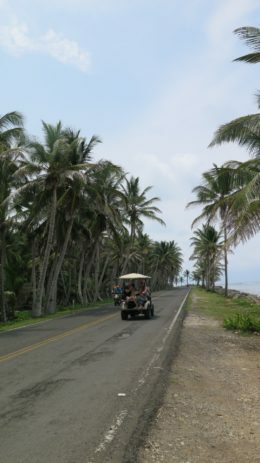 Grab a souped-up golf cart at 140000cop for 8 hours ($48 usd) It is a great way to cruise around the island and stop to take a dip, dine or drink.